Tom was kind enough to give me scrap reflective vinyl a while back, and I’ve decorated both of my bikes with it now. Today, I took Nermal (the hybrid) to the shop for some warranty work. While I was there I bought a Brooks B17 leather saddle. I also bought a seatpost to replace the existing suspension seatpost. I took the clipless pedals off of the recumbent last weekend, so I could wear warmer shoes. I also replaced the cheap pedals on the hybrid with slightly better metal ones. Here are some updated pictures of the bikes. I think you’ll love the Brooks. It’s a cycling change I’ve made in the last few years that I’ll never turn away from. Hope you enjoyed those 70F temps today (Saturday). I am definitely enjoying the weather. I went on a midnight ride last night (it was warm!) of about 12 miles. I just came back from a 17 mile ride (warmer and windy!). I still have a shopping trip to do. These ride were all on the hybrid. With the bottom bracket fixed, and the Brooks and new seatpost on it, it feels like a new bike. I am loving the Brooks, although it creaks. Maybe it’s the seatpost. Either way, I’ll never go back to squishy saddles again. The Brooks puts the pressure on the correct part of the anatomy. I’m probably going to squeeze another ride in tomorrow. It won’t be as warm, but still looks to be a pleasant day. 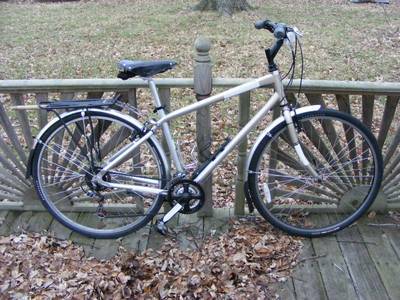 My old Raleigh came with a Brooks B66 saddle–it has springs, but is otherwise much like the B17. 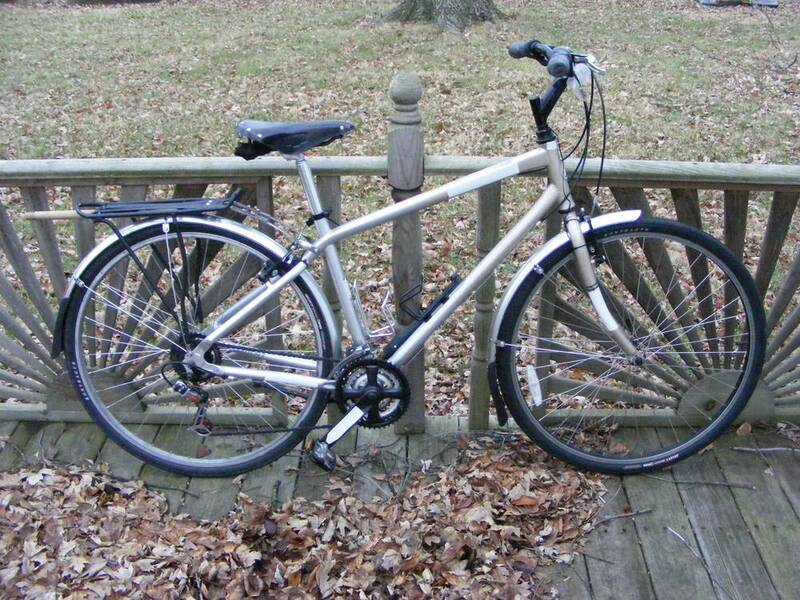 I like it more for the more upright riding position on a hybrid or work bike like the Raleigh. 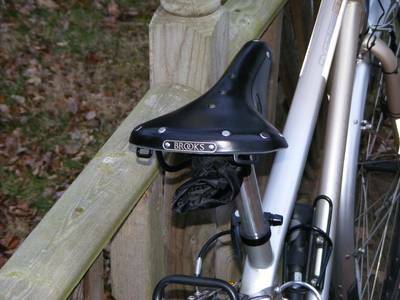 This is NOT to imply that you made a bad choice–if I had a nickel for every Brooks saddle sold to Louisville Bicycle Club members (by all merchants and private sellers combined), I could buy another saddle at full retail price, or so it seems. 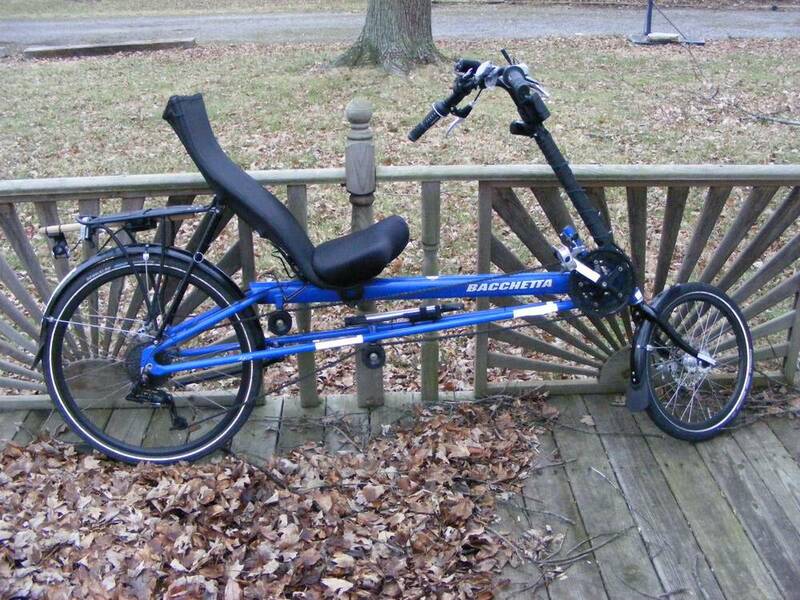 Every person who has owned a Brooks for any time has loved it. They aren’t for everyone, but many sure do like them. I know one rider who built the color scheme of her bike around her then-new British Racing Green B17. When the saddle on my Raleigh started tearing around some of the rivets, due to many years of abuse or neglect by prior owners, I got a new B66 so that I wouldn’t be without the bike. It is, after all, the proper saddle for that bike. I didn’t try the B66, but I was ditching my suspension seatpost (it felt too squishy), so putting a seat with springs just seemed wrong. I did test ride with the saddle before deciding on it, so I didn’t just blindly buy it. 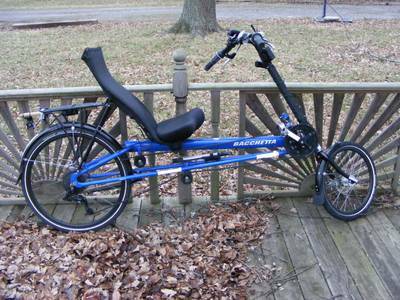 I am loving the saddle… my poor recumbent is getting ignored. I have learned to lift off the saddle slightly when crossing railroad tracks… otherwise it can be painful. Actually, the springs are not as mushy as the suspension seat posts tend to be. I barely notice the springs while I’m riding, but I’m sure they make that bike more comfortable. Not, however, as comfortable as my Ryan. Or your Agio.